The dance year officially began with me holding “auditions” to build my teams in June 2015. I worked hard to spread the word, and the majority of the kids & families were new faces to me. The whole audition process of not being able to take every student interested was very taxing, but in the end, it was definitely the right decision. I felt very strongly that having too many students would spread my focus too thin, and I wouldn’t be able to give each student the time and attention they deserve. I want to work with the kids who WANT to dance, who want to be challenged, who appreciate proper form and abilities, who see something on TV or another dancer and feel inspired to learn. I still remember how nervous (but excited) I was for the very first class – worrying about getting there early, being a good teacher, remembering names, watching the clock, following my lesson plans I worked so hard on and of course worrying “I hope the kids like me!”. Each week we would work on new steps towards our choreography and it was very rewarding to see the progress each week. Not every class was perfect but we got through it. Blood, sweat and tears were left in the studio (definitely a lot of sweat lol). There was a lot to manage, especially being a first time teacher and finding the balance in life, but anytime I started to doubt myself throughout the year, I had a huge support system behind me. Picturing the smiling faces of my students ALWAYS picked me right back up too. My students have been worth every bit of my time – late practices, weekend practices, regular classes, the time at home picking music, costumes, lesson plans, choreography. My heart is full. They have given me PURPOSE and put a spring back into my step. I see so much beauty in each of them and have loved every bit of our time together. I still remember the first day our costumes arrived (sometime in January?) and watching both jazz routines in the studio. I was hooting and hollering as they practiced, so proud of how my girls looked. They were beaming and so was I. It is an incredible feeling – creating something inside of me and seeing the reality come to life. Especially to see how happy and excited the kids were. I felt like I was doing my job 🙂 As the year went on, I definitely started feeling the team spirit from everyone and started to feel our ‘dance family’ bond growing. Some of the team members were brand new to dance, and some were just new to competing. “Welcome to a whole new world” I had warned the parents. It may seem strange to some, with all the hair/makeup/costumes especially on small children, but it all has purpose and is the “dance way of life”. We started our competitive season by making our big debut, at Catch A Rising Star – Drumheller. It felt amazing to be in our home territory with lots of friends and family in the audience to cheer us on. Every routine has come a long way since our first performance, but I was damn proud of these kids. We strutted in, proudly wearing our A.M.R Dance jackets, ready to put up a good fight against the established studios that have been around for years. We accomplished everything I had hoped for – gold medals, *making our mark and creating great buzz for the studio*, receiving a few of the extra awards, *major team spirit and bonding*. I also saw a fire ignite in numerous students (and parents! haha) for the competitive dance life and the thirst for more. I had felt the pressure to “keep up” with the other studios to prove myself to the world, but we DID IT. The kids made me so proud. We finished the weekend with our heads held high, not empty handed, and excited for round 2. 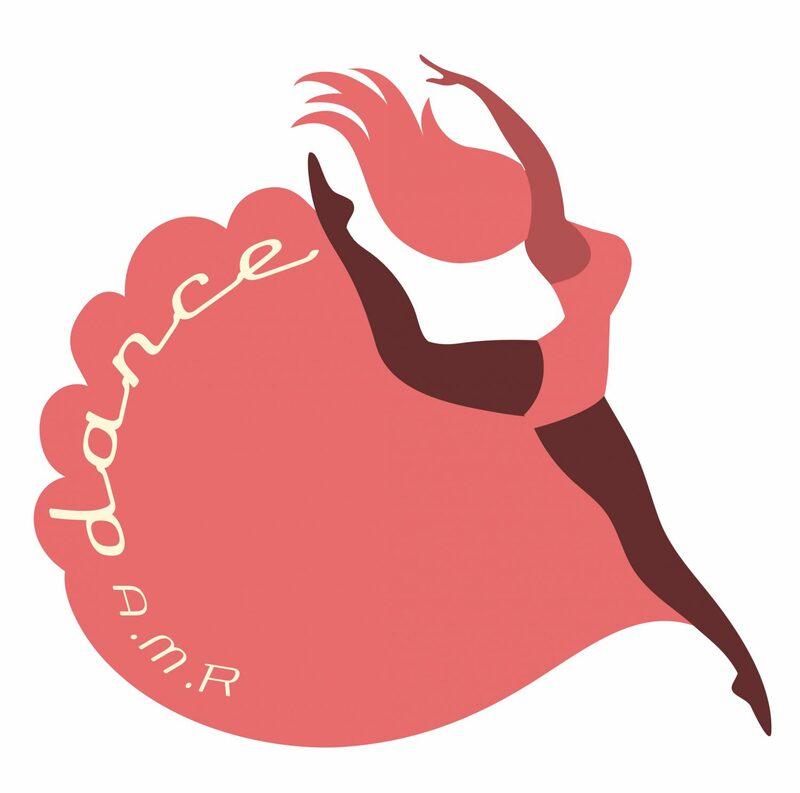 Our second competition was in Red Deer – Central Alberta Dance Festival “Shine”. I had competed at this same festival many times, and it was always one of my favorites. It was so fun to travel as a team for the first time, trying to coordinate hotels and meals to spend time together. We had an outstanding adjudicator. I loved his feedback, I loved the way he spoke to the kids, I loved his energy. One of my favorite moments was him stopping his adjudication to comment how important it is for all the routines to clap for each other, and made the girls shake hands with other dancers. Amen. The girls had some of their best performances this festival and we walked away extremely proud. “Into The Ocean” (senior lyrical) brought me to tears when I watched backstage. “What U Waiting For” (senior jazz) had a stellar performance, and managed to work through a quick choreography change 5 minutes before their performance. The girls acted like TRUE PROFESSIONALS. Working through a challenging situation and coming out on top. “Cartoon Heroes” had an almost flawless performance and received a “Shining Moment Trophy”. Don’t get me wrong, deep down we all want the gold medals and trophies, but at the end of the day it is not what it was about. The speech the adjudicator made before presenting the trophy, is what meant SO much to me. The award was presented to the group who was ‘Most Entertaining’. I was watching backstage as the adjudicator spoke about how our routine was empowering for young ladies and how important he felt that is nowadays. That was my exact goal. With goose bumps all over my body and a lump in my throat, I anxiously awaited for the girls to come off stage and we hustled into a big group celebration hug. Third and final competition was in Camrose – “NOVA II”. This competition I felt was our toughest. I personally felt a few routines had their BEST performances of the year, but some of the judges had a different opinion on a few. But… that is life!! We made the best of it. We cheered each other on. We didn’t make it easy on those judges or other competitors. We had a team pizza party and pool party at the hotel. My best memory from this weekend <besides the dancing> was watching the girls (and siblings!) play in the pool dancing, practicing their lifts, smiling and laughing together. This is really what it is all about…. Work hard, play hard – right? Without the program, all these new friendships may not have been formed. One of the highlights from Camrose too, was seeing some AMAZING routines (especially Acro) from other studios that had us all buzzing. That is one of the biggest blessings from competitions too – INSPIRATION. Regardless of the marks, I found myself feeling more confident each festival as a teacher and managing all the responsibilities involved. I felt a sense of belonging and new confidence. I had the courage to visit with other choreographers and ended up meeting an awesome teacher from Fort Mac. She had a few routines I saw that I couldn’t help but congratulate her on. We ended up being back stage at the same times, and would visit during the waiting periods and cheer each other on during awards. I also received my FIRST choreography award for “Cartoon Heroes” this festival. I heard my crew go wild in the crowd. I got the old rush back, stepping on the stage under the bright lights to respond to the question of which studio am I with – “Alison Rutz from A.M.R Dance in Drumheller!”. The week after back at the studio, the kids were still talking about a few routines we saw, and wanted to learn some of the moves. (Refer back to my top paragraph – the kind of students I want to work with). Overall, our competition season was a huge success. We accomplished all the goals I was hoping for and I saw a huge improvement with every student. Even though we did do very well at every competition and never came home empty handed, success should not be measured by the amount of trophies, medals and plaques. I felt confident in myself and teachings. My dance families are committed and happy, everyone was talking about ‘next year’ before the year was even finished. We qualified 5/9 routines in the Catch A Rising Star Grand Championship this June. We went in already feeling like winners for just qualifying, and it was awesome to have another opportunity to see a few more of the routines one last time. We did not expect to win anything, but congratulations are due to our 6 year old Emerson Hannah for placing ‘1st’ with her solo for category 10&under!! Her mark was high enough to qualify her for the final dance off and competed for “Soloist of the year”. Even though senior dancers took home the prize, Emerson pushed herself against all these older kids and did her best performance to date! I feel like I did my job the best I could, getting all my kids as prepared as they could be for all their performances. Obviously I was hoping and working for the best, but I honestly didn’t care what the outcome was at Grand Championships. The fact that one of my students was able to go as far as she did this year, was an amazing experience for me (a first time experience for me!!) that I will never forget. We officially finished up the year by doing our first float in the Drumheller Canada Day Annual Parade. We had an amazing float (thank you Michelle and Craig!!! ), stylish A.M.R Banner on the back, and sound system to pump up the crowd. It was another excuse to spend time together and we all had a blast. Already looking forward to next year. Second annual auditions have been finished up and I have officially invited 12 new students to join next year. Our family is growing! Stay tuned for what is to come… the fun really has just started. I have never been more confident that I have found my purpose. Thank you to my students and families for being on this crazy journey with me.